Anyone else sweltering in the heat today? Summer is my favourite time of the year. 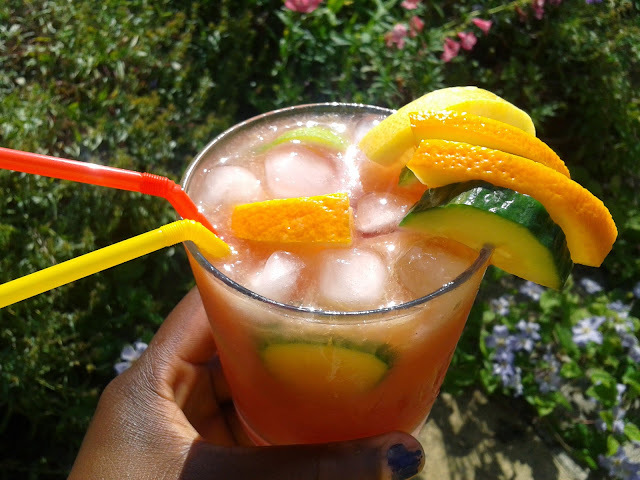 I really can't get enough of it, because then I get to make tasty, refreshing drinks like this one. Chapman is a popular cocktail drink in Nigeria which you'll find served at restaurants, bars and most big events. Next to the club sandwich, it exists in my memory as one of those fascinating things grown-ups had at fancy restaurants or sipped by the pool at places like Ikoyi Club. 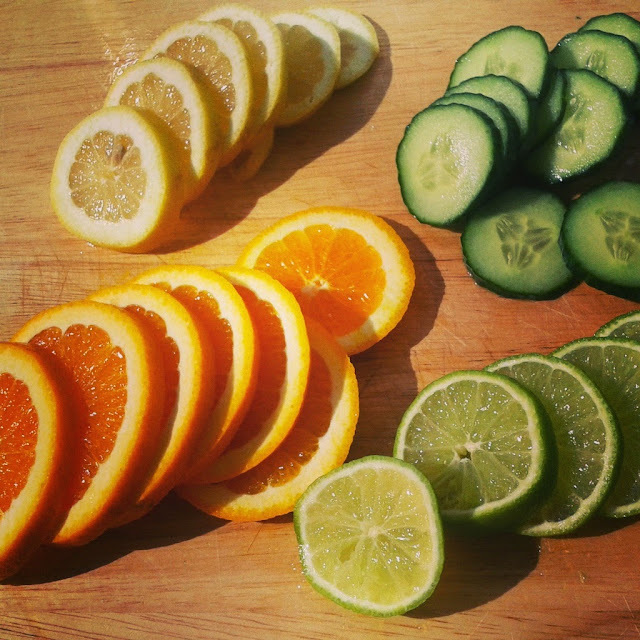 I mixed mine in a large punch bowl and threw in a generous helping of sliced lemons, lime, oranges and cucumber. Throw in some ice cubes for some extra chill. Tomi, you should hurry up and come to nigeria to cook for me :p, but also it'd be interesting to see what ingredients you'd choose from the smaller range of a nigerian market for some of your recipes. It's been a while though, email me or somthing!!! !